It was a long drive, starting at 9p from Nizamuddin, first stop Chandigarh meeting mom after almost 8-9 weeks, and then touching base at the Qila – 4:30a; Raga Natt through out/Hau Vaar Vaar Jao Gur Gopal till Chandigarh/Kou Hai Mero Sajan Meet till Village penultimate, Dalla, wherefrom hailed Bibi Damodari, the wife of Guru Hargobind, the 6th guru – the mother of the ninth, Guru Teg Bahadur, and the grandma of the tenth, Guru Gobind Singh. Raju, works as a cook at Anad, Qila Sultanpur Lodhi, accompanied me this time. He also wants to be a singer and I have have been teaching him off and on for some time. After I had sung the first Natt composition, instead of going nuts, he began to sing along. Soon he was understanding, as I sang on a few improvisations as we passed Ropar, the difference between various mukaa-s, tinn mukaa-s, tcheh mukaa-s, nau-mukaa-s and so on. He even held a digital-audio recorder sans a flinch. 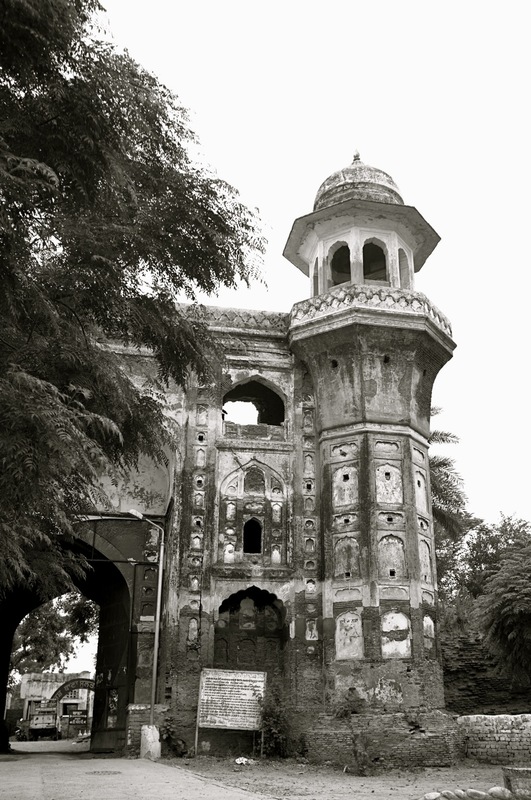 If you continue past Sultanpur Lodhi, you reach Village Parowana, where lives still the legend of Rababi Bhai Firanda, whomfrom came the Rababa of Bhai Mardana at the behest of Nanak Shah Faqeer – Hindu Ka Guru Mussalman Ka Peer. All these places have lost their vernacular uniqueness and I have a vision – an action plan which is feasible and doable. Are there any romantics still around? You know where to find me – join up folks – it is high time…! Photo by Thomas R. Hughes – courtesy Rameet Kaur Dhaliwal Hughes. Re: action plan, I know couple of PhD students in similar fields, locally, may be, could be, engaged in this project. Could you shed more light about it? Thank you for your comments Ji. The preservation of Guru’s time artifacts, including buildings is of prime importance from historical view. Especially, when you hear stories that Some “Babas'” have demolished “Divar” where chhote Sahabjades’ were chune gaye si… which gives you tremors in body that some are bent on detroying Sikh history!